In order to promote natural beauty and hilly area of Uttarakhand, the government has planned to bring film shooting location in valleys of Uttarakhand. It has been a tourist destination and it is still famous for various water sports, trekking, and other adventurous sports. However, the government wants to increase the overall capital income of state and shooting film is most profitable and comfortable option for them. The host provides all the facilities to the movie makers and facilitates shooting process. As a part of development and growth, the government invites feedback regarding location, facilities, and current film making policy in Uttarakhand. 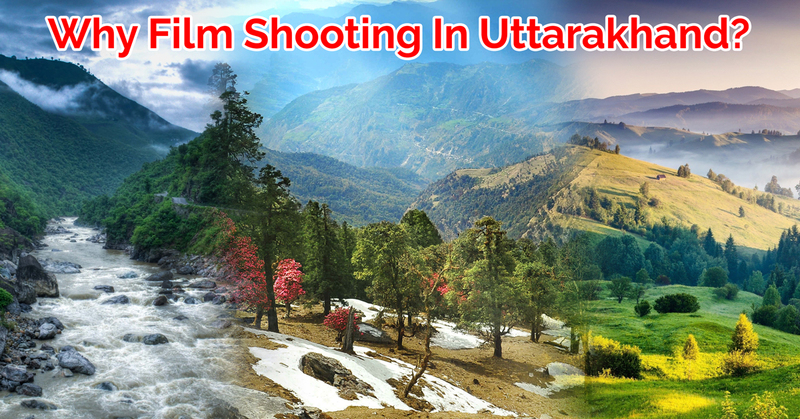 The idea of movie shooting in Uttarakhand is to locate scenic beauty of the dotting hills so that whole state becomes a famous tourism state rather than only Rishikesh, Dehradun, Haridwar, Nainital, and other known places. Its popularity as a tourist destination will increase and an improved economy will stop the migration from hills. This is the reason, the government is promoting film making so that local people residing in hilly areas have income. Government is also facilitating online suggestions on the DIPR (Director of Information and Public Relations) website so that they will draft better film policy benefiting both film producers and local people. Most of the movies shot on real events, that does not give the rich glimpse of the state but it has boost tourism. The charming locations like Valleys, Hills, and Villages of Uttarakhand, also magnificent British era forest research building was featured in Raag Desh movie. This film shows the struggle of freedom of India under Netaji Subhash Chandra Bose, it took about a month for shooting around Dehradun. This movie shows the natural beauty of this state, red fort trail of Army and Indian army’s life in Uttarakhand.